We love summer rain here at Emerald Lawns. But, how does that rain affect your lawn in the summer heat and humidity? 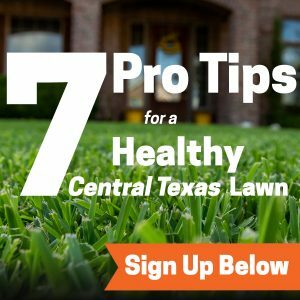 We’ve gathered a list from the experts that care for thousands of lawns across Central Texas. 1. Lawns do not have a savings account for water. If you received three inches of rain at your house, that doesn’t mean you can turn your water off for three weeks. Your lawn needs at least one inch of water each week to maintain healthy growth. In the event you were in a part of town that got a considerable downpour, here are some measures to take to ensure that your lawn dries out. 2. Summer rain can lead to fungus flare-ups. Over-saturation plus summer heat could contribute to lawn fungus. 3. Weeds may begin to pop up. Even though we’re well past spring, you may notice some of the infamous Central Texas weeds attempting to make a come-back. Don’t worry, we can help with that too. 4. Rain does not wash away the fertilizer. The good news about summer showers is that they help fertilizer sink further into your lawn. Bonus! 5. Get ready to mow. A couple of days after a summer deluge, you can expect to see mosquitoes pop up again. This is because mosquito eggs require moisture to hatch, so the dry eggs hidden around your lawn will get rehydrated and hatch 24-48 hours later. Again, we’re happy to help with that. As always, we’d love to answer any questions you may have or come out for a no-obligation evaluation. Give us a call at 512.990.2199. Most of all, enjoy the cooler temps!